Egyptian President Abdel-Fattah el-Sissi is ruling the nation through authoritarian laws and decrees which are increasingly stripping Egyptians of their democratic freedoms, the Guardian reported Saturday, quoting experts from the country. Amr Shalakany, an associate law professor at Cairo’s American University, told the paper the Egyptian leader’s anti-democratic actions were unmatched in rate and scope by any ruler since the 1950s. The laws passed in the past year have banned protests, restrict media coverage of the military, remove limits on the detention of suspects awaiting trial, increase government clout in university campuses — the source of previous popular protests, restrict the funding of rights groups and boosts the wealthy and the powerful at the expense of the masses. A new law may soon define any opposition action as terrorism. 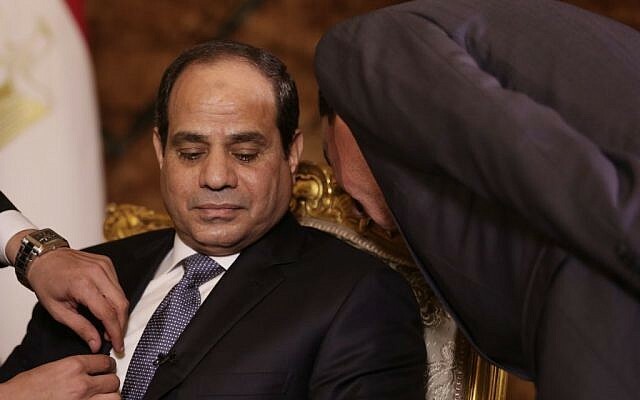 The new laws have been drafted almost entirely at Sissi’s whim, with the country currently lacking a parliament and new elections to the legislature not expected before mid-2015. Former army chief Sissi ousted the Muslim Brotherhood’s Mohamed Morsi from the presidency in July of 2013 following massive protests against his Islamist government. 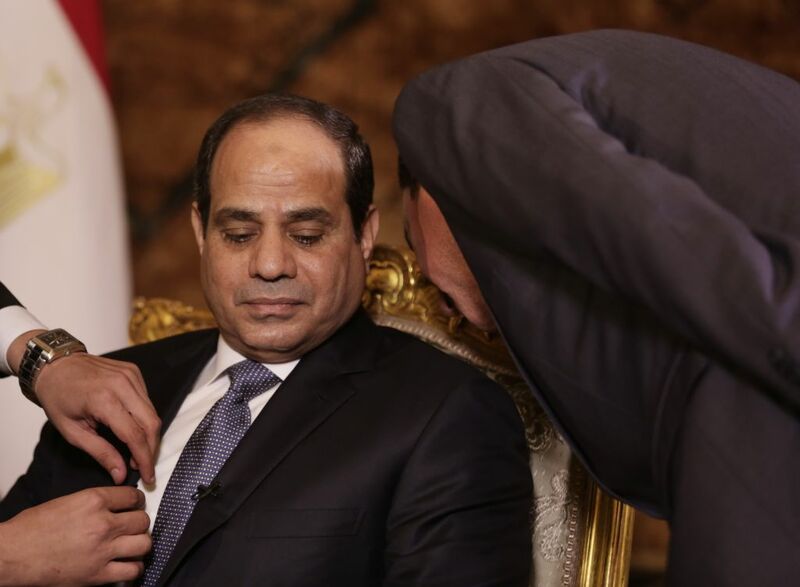 Now, six months after Sissi became Egypt’s president after crushing his opponents, criticism of his regime is either whispered or left unspoken amid stifling curbs on freedom of expression. Authorities have led a heavy crackdown on Morsi’s followers, other Islamists and the secular opposition. Thousands of people have been arrested and hundreds others killed in violent clashes. The crackdown has generated a climate of fear at train and bus stations, public squares and cafes, activists say. Not only are the once reviled police back on the streets in full force, but so is a band of loyal “citizen informants” ready to pounce on any critic. Activists say they now have to be more cautious to evade the witch hunt launched by the authorities and regime loyalists aimed at silencing any dissent.